Need help searching for the caps you're looking for? Here is how you browse to find images on we like tv screen. and click the name. Done! You have reached the page or pages of the show. 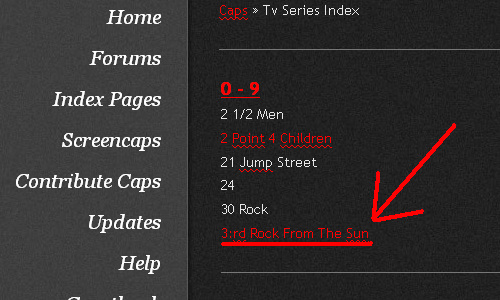 There are no caps atm from the series in white text. All shows are listed in alphabetic order. 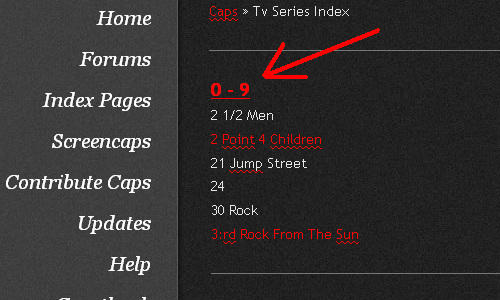 Many of the series have lots of empty episodes. There will be in most cases caps there aswell eventually. 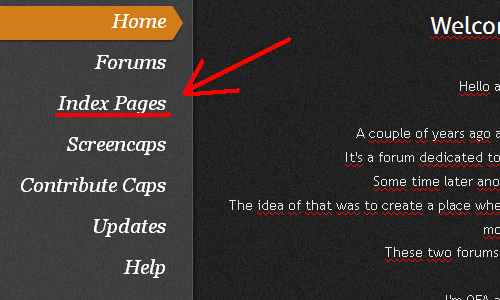 to see what new caps have been added since your last visit!